Thanks for writing. I look forward to seeing what you write next, because you say that parents and ends up destroying families by also not getting a chance to stay here in the U.S. for a better life. This issue impacts people because it separates immigrants from their families when they get deported and may ruin their lives. It is problematic because it is also a racial thing because immigration targets mostly hispanic people because they are seen as the people with no papers and illegal. 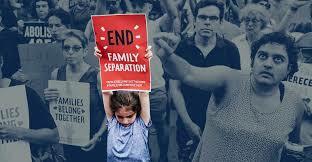 When someone ends up getting deported they are forced to leave behind loved ones. I am impressed by your post, “Deportation”, because it is a huge problem here in the United States where people come to live better from what they had. They try to leave a bad environment but end up in the same situation here in the U.S. .
One sentence you wrote that stands out for me is “ Our current president is trying to build a wall”. I think this is a very important topic because it really is not going to solve any problems smuggler will just find more ways to get into the U.S. The president is more worried about the wall when he should be worrying about “Making America Great” in helping the homeless, making better laws for bullying etc. Thanks for your writing. I look forward to seeing what you write next, because this was a good topic. I think you could have extended more on topics or examples. This was a good post to read. Luis Eduardo by is licensed under a Creative Commons Attribution-ShareAlike 4.0 International License.